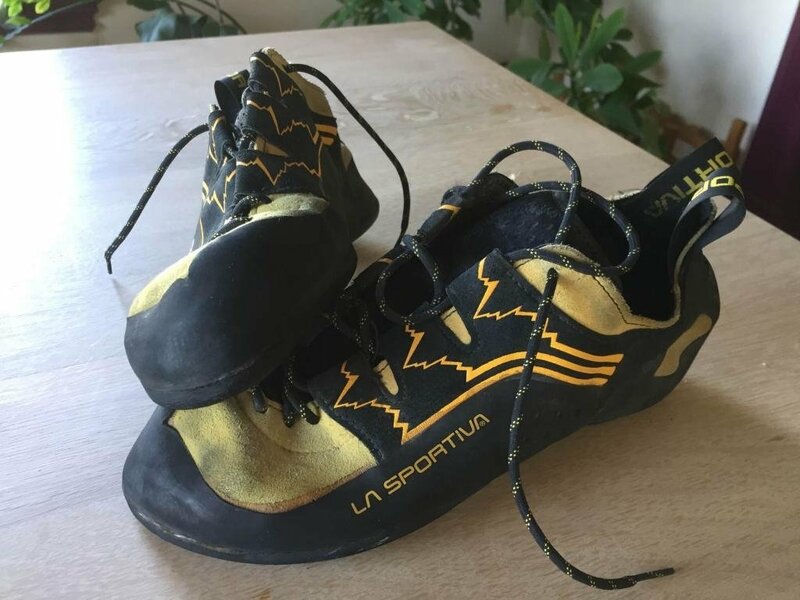 This is a pair of used La Sportiva Katana Lace size 45 Men. 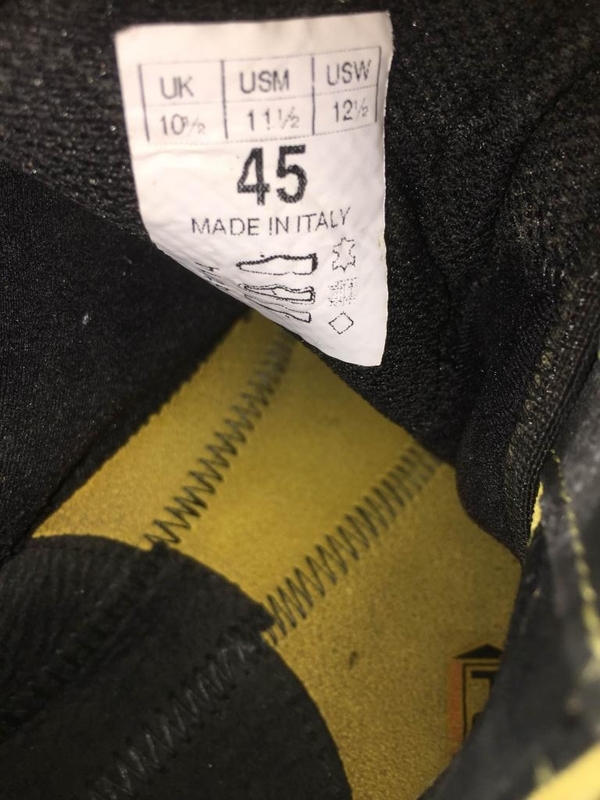 I got this pair of shoes for $50 barely used after they were returned to the store for delamination of the sole. 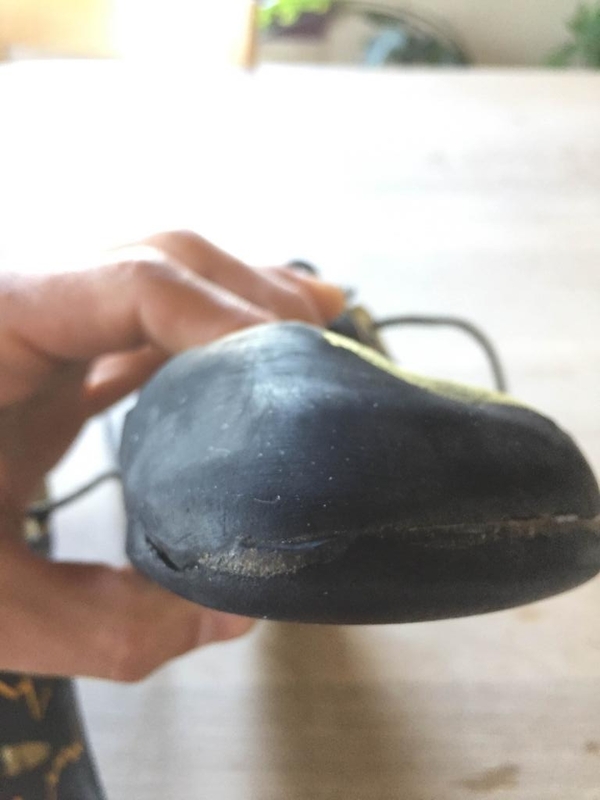 The previous owner clearly dragged the left toe a lot and the sole was peeling back from the rand. 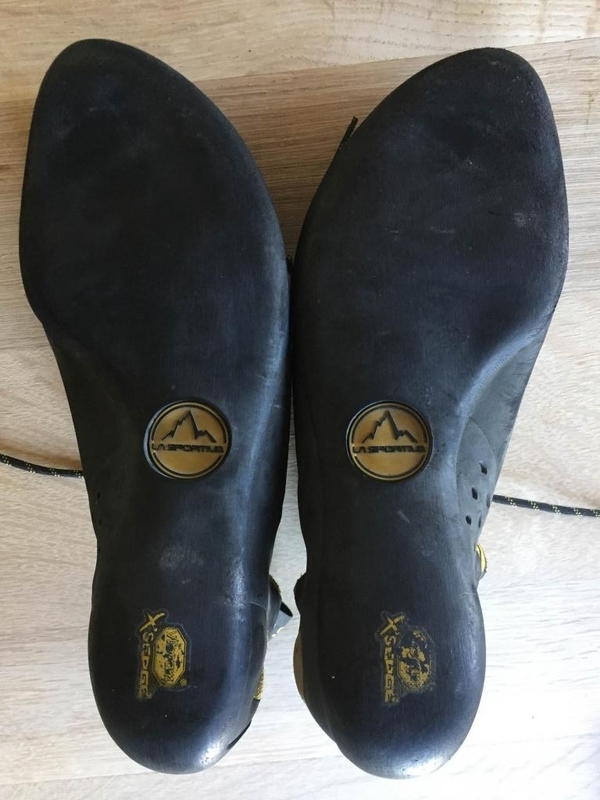 I repaired the delamination with Aquaseal as seen in the detail photo, and climbed on them for about 3 weeks while my shoes were being resoled. 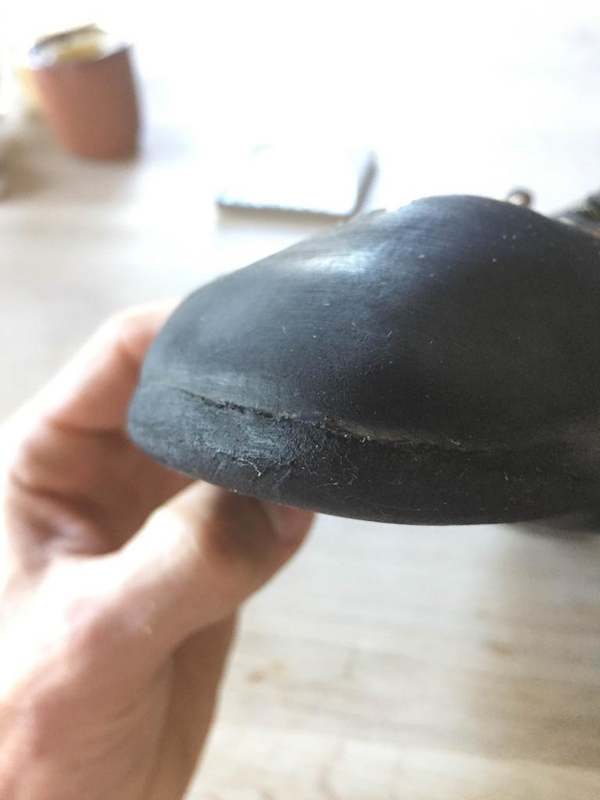 There has been minimal further delamination and the shoes still have a ton of life in them. 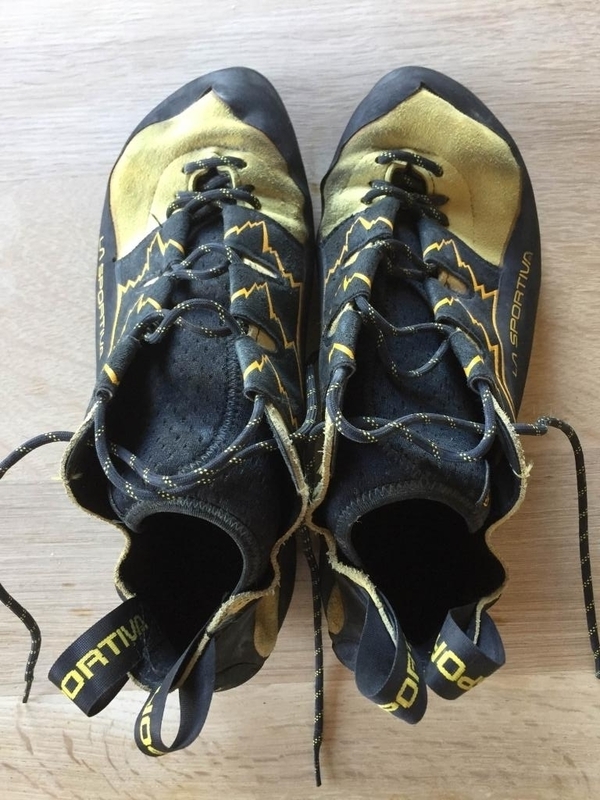 They're still very clean, no smell, all indoor use. I'm putting them up for sale because I have my resoled shoes back and these are at least half a size too big for me. A really great shoe for a great price.